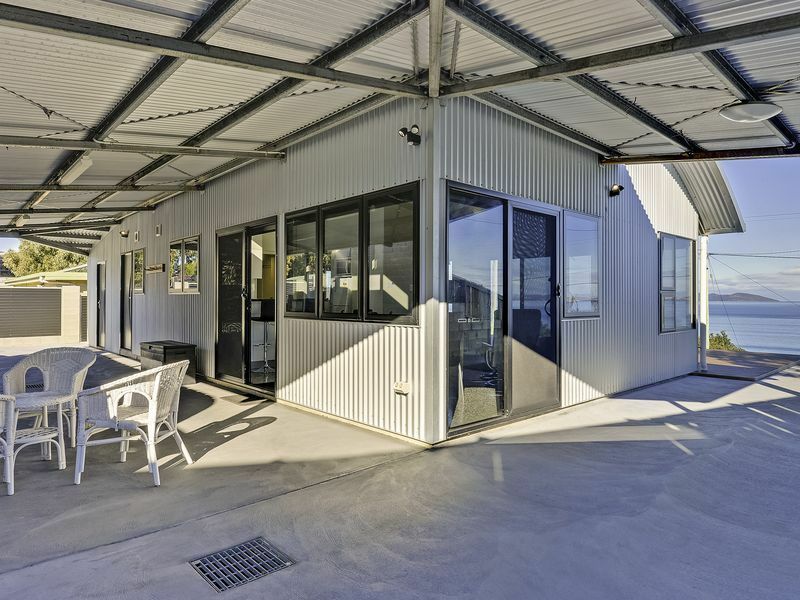 This property is perfect for relaxing by the beach, great or as a base for exploring all that Tasmania has to offer. Enquire today for your next beach side getaway! We really enjoyed our stay at the Park Beach Retreat. Headed to Park Beach for a weekend of relaxation before the year starts and things get hectic managed to read a whole book!! The views were stunning and the bed comfy. Great morning walk along the beach to the river mouth and back. Hubby got in the water for a couple of swims. Thank you Brenda. We'd love to welcome you back and hopefully we can still be flexible with check in and check out times. Didn't spend much time here - we were mostly out looking around! Was a great little place to have a breather between travelling all over the place, but having said that, didn't arrive until really late the first night, woke really late the next day, then out and about, then checked out really early the next morning. Was great to get some washing and drying done here though, and to have an amazing shower (water pressure was great). The highlight was seeing an owl on the fence the first night. Have never seen one in the wild before. Missed not having a dishwasher (I get terrible rashes from dishwashing liquid and rubber gloves) but I didn't pay much attention to if there was going to be one prior - my daughter did the washing up for me. Host Grace was very quick with email responses, which I was really thankful for. Very welcoming and friendly😊�. I was a bit mystified how to get fresh air during the night though. I would have liked to leave a window slightly open during the night, but didn't know how to open the really high louvers above the kitchen. Maybe a pedestal fan would be a good alternative. But we survived! The next night was quite chilly, so we got to enjoy the lovely fireplace. No fan or open window needed! Thanks for your review, and we’re glad to hear you enjoyed your stay at Park Beach Retreat. Great to hear that you enjoyed the facilities, and got to meet some of the friendly local wildlife. We find that opening the sliding glass doors near the bedroom allows a cool sea breeze to flow through the house on warm summer nights, while the metal screens still provide security. The windows near the dining room and lounge also open to increase airflow if needed, and we’ll take on your feedback about having a pedestal fan. Agree that having a dishwasher would be nice, but glad your daughter was able to help you out there. We hope to welcome you back again soon! We absolutely loved our stay at Park Beach Retreat. The views, ambiance, fireplace, and beautifully designed home made for a wonderful stay. As well many extras are provided. A well stocked pantry, cleaning and laundry supplies, firewood, kindling etc. The location is fabulous and very close to the beach which is perfect for walking and exploring. Shopping is very close by and convenient. Thank you so much Michael & Virginia. Perfect guests. Park Beach Retreat is a fantastic! The view out over the ocean is stunning, the fire adds warmth and ambience and the location was perfect. Everything we needed was there. A great place for our weekend in Tasmania. Thanks Libby. It is certainly a lovely area. We stayed at the retreat during a blustery and cold weekend in July. The fire was lit continuously and did a reasonable job of keeping us warm. The other heater was not up to the job. Having said that, the Retreat was well appointed, clean and comfortable. We enjoyed it immensely, happy to be back after days braving the weather. Many thanks Grace for your hospitality and congratulations on a stylish comfortable retreat. Thanks Maarten for your positive review and we're glad you enjoyed your stay. We do our best to ensure there is always plenty of firewood for to keep you nice and comfy on cold Tassie winter nights.